Just 4 miles south of Rotherham and 7 miles from the Global Windows Sheffield HQ is the lovely South Yorkshire village of Swallownest. Having recently completed an extensive renovation here, we thought we’d share this gem of a home improvement with you. This is a particularly memorable renovation job due to the sheer scale of it and the hard work involved, but the finished article was incredibly rewarding for all parties involved. 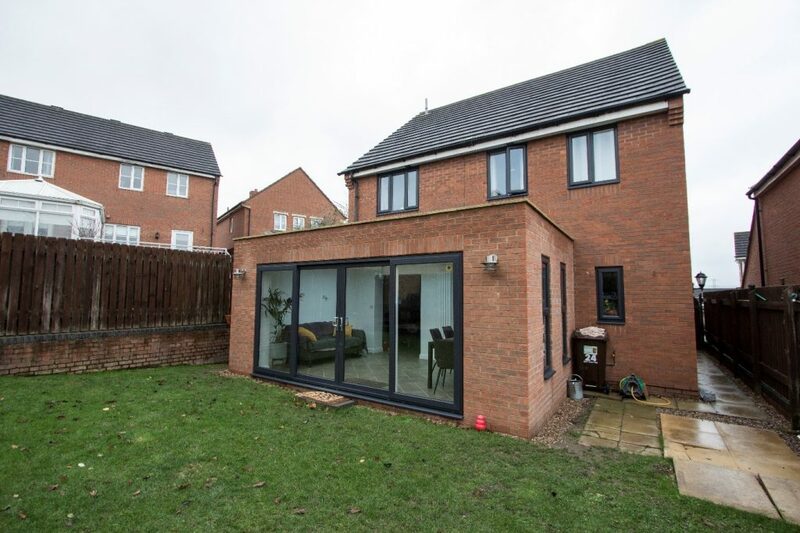 The customer explained that they wanted to add a contemporary edge to their Sheffield home, whilst notably increasing the amount of space and light to their kitchen area at the same time. 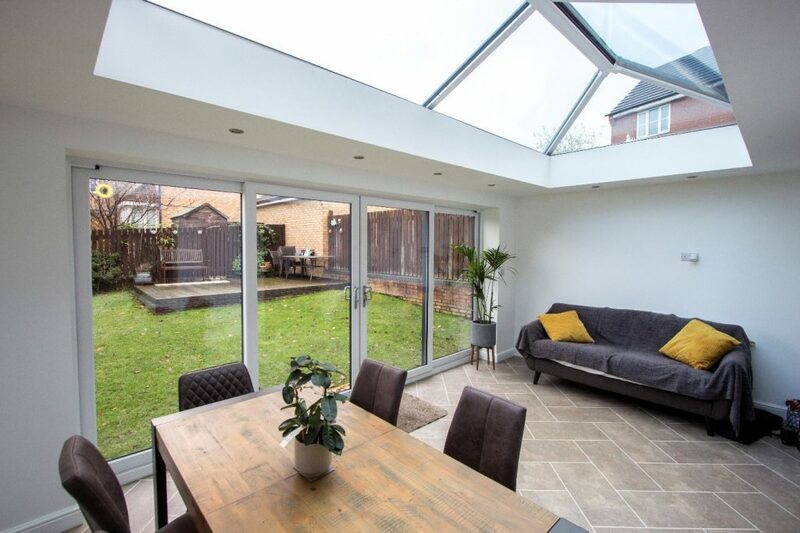 And after a visit to our conveniently based Handsworth showroom, they quickly fell in love with the prospect of a radiant flat-roofed orangery installation. 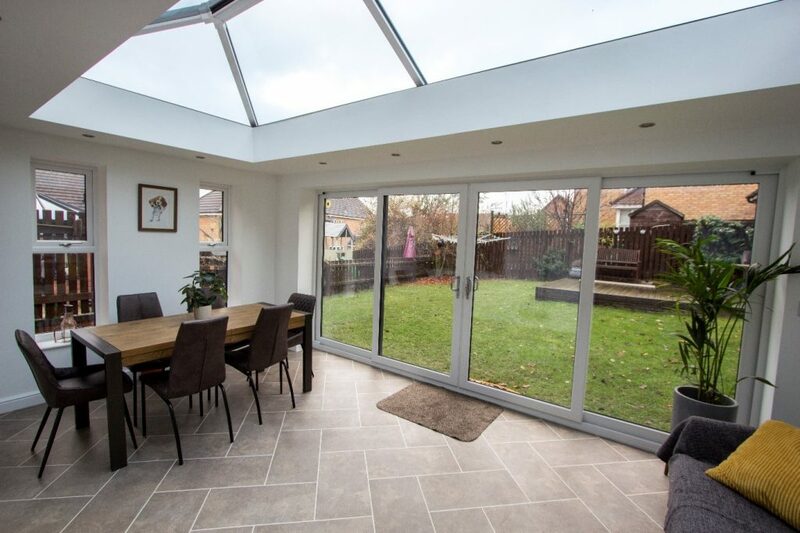 After thoroughly explaining the exciting variations of their orangery, the dazzling qualities of the UltraSky Roof Lantern by Ultraframe captured their imagination; immediately envisaging the endless cosy nights in under the stars whilst being able to bask in the sun throughout the balmy summer months. Our expert team of installers got particularly creative with the old kitchen window, by carefully plastering around it to transform it into a useful serving hatch. 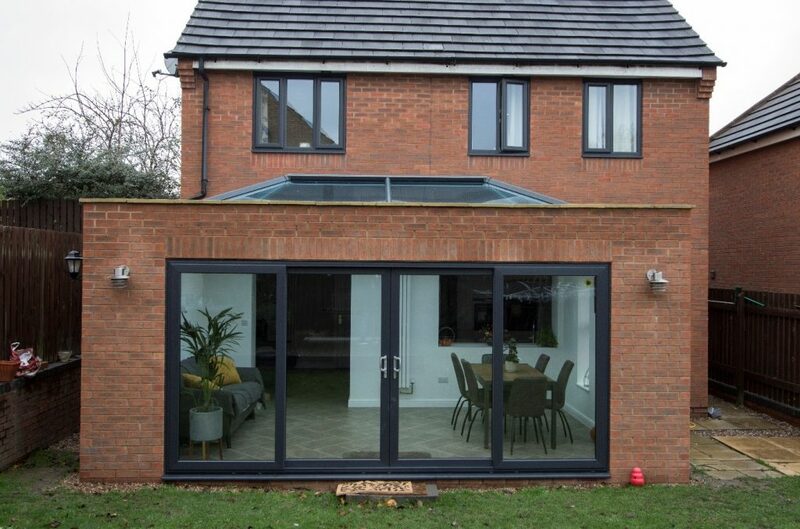 The overall contemporary edge was initialized with a sleek 4 pane uPVC patio door alongside a completely new set of matching window frames fitted throughout the home, complete with security-conscious Yale window locks and ultra-secure Ultion Brisant cylinder locks. 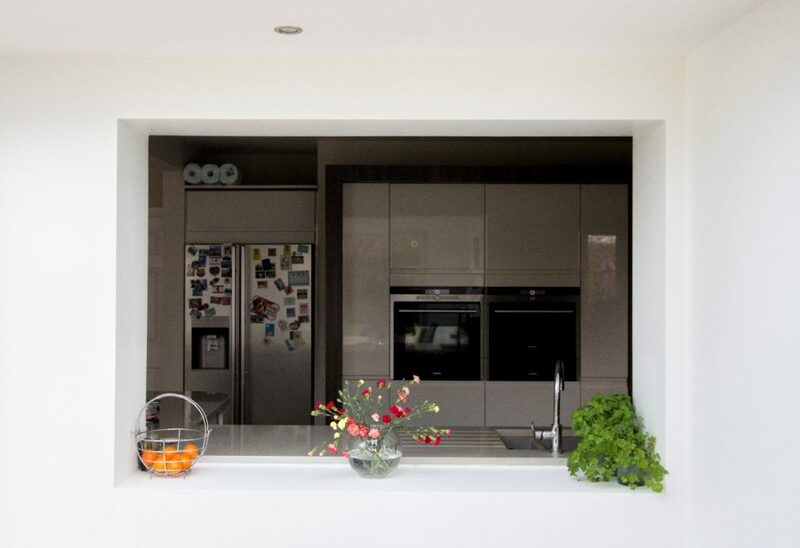 As you can see, grey on white dual colour was applied, successfully delivering a clean, light and airy interior combined with an on-trend, elegant anthracite grey exterior. Superb Sheffield renovations right on your doorstep! If you like the look of this gorgeous Sheffield renovation or any of our other case studies, be sure to book in for a Feb-April 2019 installation and take advantage of our extraordinary 10% off everything offer. Get a quote now using the promo code: global2019 or contact us to discuss your home improvement options in more depth.